"Tea tree is extremely soothing and can work wonders on troubled or oily skin. 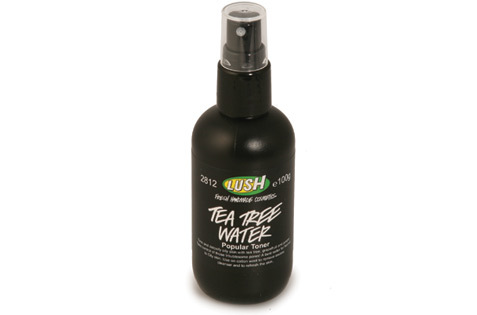 We've also added juniper berry and grapefruit waters to refresh and gently tone with natural oils. Use this throughout the day to help tackle blemishes and lift your spirits." As you probably know I have oily skin and over the past year I've had a real battle with acne. I've tried many toners which failed to impress but I really like this one. This toner helps combat my blemishes, soothes and cools my skin and helps to close pores after cleansing - its not a miracle worker, but I does what it says on the tin. I also love the packaging. Its simple and practical, it fits in my handbag! I also use this after exercise. I don't like to over-wash my face so if I workout during the day this is a quick-fix to clean my skin without over stimulating my oil glands. They spray dispenser also makes it very refreshing on hot skin. Overall this is a great product and a daily staple in my skincare routine. Its helped combat my blemishes and my oily skin.